Nikon announced their new flagship DX-format HD-SLR, the D7100. 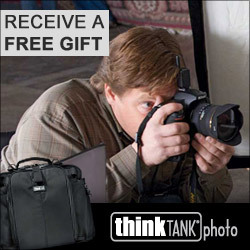 It boasts a 24.1 megapixel CMOS sensor, 51-point AF system and wireless connectivity. 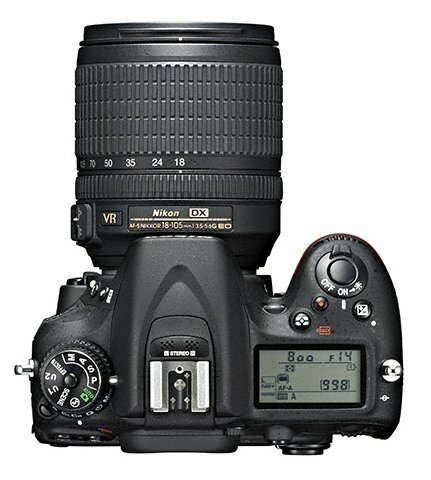 The Nikon D7100 is expected to release on March 21, 2013 at a MSRP of $1599.95 with the AF-S DX NIKKOR 18-105mm f/3.5-5.6 VR lens or $1199.95 for the body only configuration. Additionally, the new MB-D15 battery grip and the WR-1 transceiver will also be available in March 2013, and pricing for these products is not yet announced. The WU-1a Wireless Mobile Adapter is currently available and has a suggested retail price (SRP) of $59.95. Continue reading for full press release and additional pictures. Melville, NY (February 20, 2013) – Nikon Inc. today announced the D7100, the HD-SLR that ushers in a new era of DX-format image quality and functionality for the experienced shooter and photo enthusiast. The lightweight Nikon D7100 has an impressive array of intuitive features and controls bolstered by rapid performance and a robust feature set that includes a new 24.1-megapixel CMOS sensor, Nikon's 51-point AF system and wireless connectivity. "Solidifying Nikon's ongoing commitment to the DX-format D-SLR customer, the innovative D7100 provides new ways for photographers to capture their creative vision with incredible detail and precision, whether through still images or HD videos," said Bo Kajiwara, Vice President of Marketing, Planning and Customer Experience, Nikon Inc. "The D7100 blends the best creative features with advanced-level functionality to give the enthusiast exactly what they want and that's a great shooting experience before, during and after capture, from shooting to sharing." At the core of the Nikon D7100 is a new 24.1-megapixel DX-format CMOS sensor, designed to render the truest, most detail-rich images possible and brilliant HD video. The innovative sensor design delivers the ultimate in image quality by defying convention; because of the high resolution and advanced technologies, the optical low pass filter (OLPF) is no longer used. Using NIKKOR lenses, the resulting images explode with more clarity and detail to take full advantage of the 24.1-megapixel resolution achieved with D7100's DX-format CMOS sensor. Driven by Nikon's exclusive EXPEED 3 image processing engine, the D7100 realizes a focus on image quality that extends beyond staggering sharpness to outstanding images with a wide dynamic range in a variety of lighting conditions. A wide ISO range of 100-6400 (expandable to Hi-2 of 25,600) allows for more versatile shooting to capture challenging conditions such as nature at twilight or even sports under less-than-ideal lighting. Even at higher ISOs, noise is minimized for both still images as well as when recording HD video. 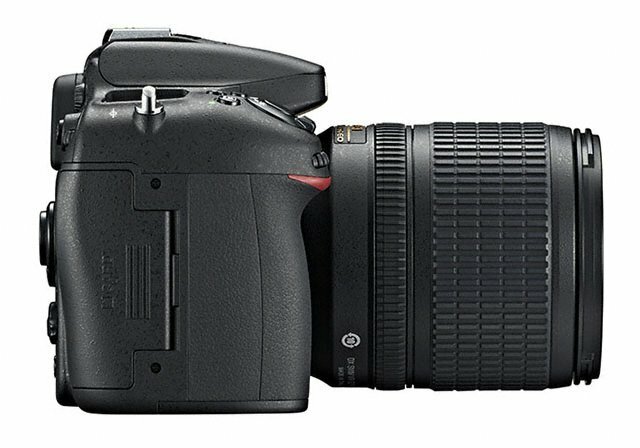 New 51-Point AF System - The D7100 features Nikon's professionally proven and lightning-fast 51-point AF system, with a new Multi-CAM 3500DX AF module. Additionally, the AF system and exposure are augmented with Nikon's 3D Color Matrix Metering II 2,016 pixel RGB sensor and Scene Recognition System, which recognizes the scene prior to shooting in order to adjust AF, AE, AWB and other parameters. The results of this system are accurate and even exposures, sharp details and vivid color, frame after frame. For additional precision, 15 of the 51 AF points are cross-type, and the center point is functional at f/8, giving DX photographers an additional telephoto advantage when using a teleconverter. 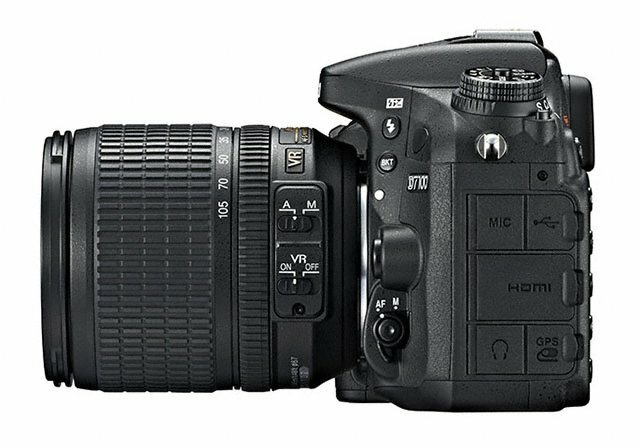 Rapid Response and Operation - To help ensure the decisive shot is not missed, the D7100 can shoot at up to six frames per second (fps) at full resolution and up to seven fps when using the new 1.3x crop mode at slightly reduced resolution. Overall operation and image processing is swift, while startup and shutter lag is nearly imperceptible with a release time lag of 0.052 s* (CIPA). Image data is also written to dual SD card slots, which accept the latest high-speed UHS-1 and SDXC cards. 1.3x Crop Mode - Sports photographers take note: Building upon the telephoto benefits of the DX-format, the D7100 has the unique ability to shoot in a 1.3x DX crop mode for both stills and HD video. While in this innovative mode, shooters will gain an extra telephoto boost (2X), and a boost in burst speed to seven fps, with 15.4- megapixel resolution. Additionally, while in this mode, the 51-point AF array covers more of the frame, allowing improved subject acquisition and tracking performance through the viewfinder. New High Resolution LCD - The new, wide and bright LCD screen is 3.2-inches and features a super high resolution of 1,229K dots. 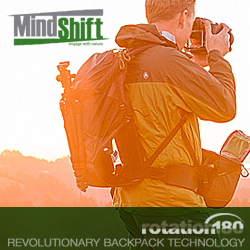 Now photographers can easily compose and check critical focus for HD video. New Viewfinder - Nikon has implemented a bright and high-contrast new OLED data display within the optical viewfinder that makes it easier to read and see shooting data. When composing through the viewfinder, users see 100% frame coverage, essential for proper framing. Spot White Balance - A new feature for Nikon cameras, Spot White Balance allows for quick and precise white balance adjustment while shooting in live view. By selecting a desired point on the screen, users can set a custom white balance from a distance, even while using a super-telephoto lens. This is helpful for shooting video or when shooting under unfamiliar lighting when no gray card is available. Durable Construction - Built to perform in a wide variety of conditions, the D7100 is built to the same moisture and dust resistance specifications of the venerable Nikon D300S. For durability, the top and rear covers are constructed of magnesium alloy, while internally, the shutter has been tested to withstand 150,000 cycles. Despite its robust construction, the camera remains lightweight, weighing in at approximately 1.5 pounds (body). Enhanced Interface - To make it easier for users to quickly access frequently used functions, the "i" button has been added to the enthusiast-oriented control layout on the camera. Photographers know that moment when the shutter clicks and they have created something stunning which deserves to be shared. No matter where that moment occurs, whether in an urban landscape or isolated forest, they can now share their images wirelessly by an attached WU-1a Wireless Mobile Adapter.1 With this optional adapter the user has the ability to share images to a supported smartphone or tablet, shoot remotely from their device, and transfer photos from up to 49 feet away. The Nikon Wireless Mobile Utility application is available free of charge on Google Play™ for Android™ devices or from the App Store™. When using the application, photographers can wirelessly transfer images from the camera to a mobile device and even remotely control the camera. For those looking to create multimedia content, the Nikon D7100 has a wide variety of innovative features for capturing HD video at various frame rates. With a press of the dedicated video record button, video can be recorded at 1080/30p, or at 60i/50i (in 1.3x Crop Mode) for optimal playback on many HDTV's when connected via HDMI. The D7100 also provides the ability to record stereo sound through the internal microphone, or attach an optional external microphone such as Nikon's ME-1, through the dedicated microphone terminal. To reference audio, the camera also features a headphone terminal. Users can also get creative using Nikon's Creative Effects in real time. This feature lets users take advantage of modes like Selective Color or Color Sketch to create truly customized movies. In addition to full manual controls, the Nikon D7100 features a variety of intelligent modes to create effects and special features so that users can unleash their creativity. Nikon's Picture Controls can be applied to photo and video to change the color, tone and saturation of an image for creative control. When capturing still images, the same Creative Effects modes and filters available in video are also at the disposal of the user. By combining consecutive frames, the D7100 also has a high dynamic range (HDR) function to let users capture photos with a vast tonal range. For 80 years, the NIKKOR legacy has been providing world renowned optics for photographers. 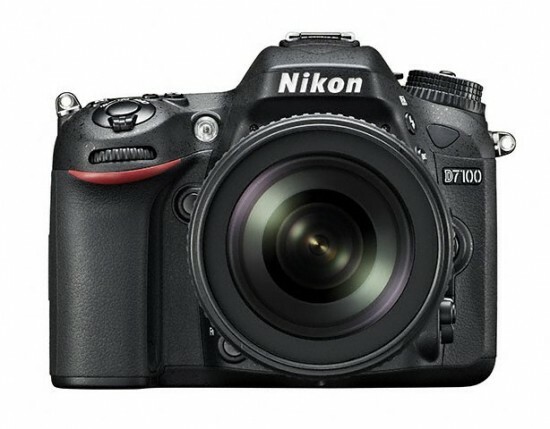 The D7100 is compatible with Nikon's dedicated DX-format lenses and more than 50 FX-format lenses. NIKKOR lenses offer the ultimate in sharpness and clarity in photos and HD video. For added versatility, the camera features a built-in flash, or can act as a commander in Nikon's popular Creative Lighting System (CLS). 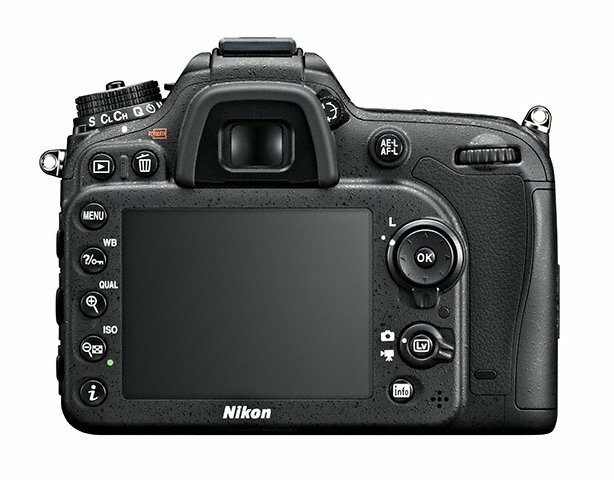 Price and Availability The Nikon D7100 will be available starting in March 2013 for the suggested retail price (SRP) of $1599.95* with the AF-S DX NIKKOR 18-105mm f/3.5-5.6 VR lens or $1199.95 for the body only configuration. Additionally, the new MB-D15 battery grip and the WR-1 transceiver will also be available in March 2013, and pricing for these products is not yet announced. The WU-1a Wireless Mobile Adapter is currently available and has a suggested retail price (SRP) of $59.95.